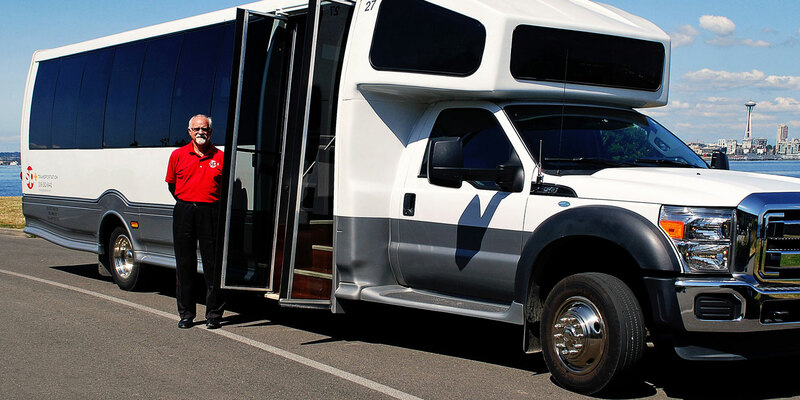 SP+ Transportation, Northwest is constantly looking to hire qualified licensed shuttle drivers in the Seattle area. Shown below is a general job description for a Shuttle Driver-DOT at SP+. If you are interested in a career with us, please apply through our Corporate Careers page. Basic Function: Responsible for the proper and safe operation of shuttle buses, transporting passengers to and from designated locations. Assisting customers with luggage and other traveling items. Possess a valid CDL Drivers License with Passenger Endorsement and DOT Medical Card to be carried with driver, at all times, while on duty. Education Required: High School Degree or equivalent. License Requirement: Per DOT Regulations, you will be required to have and maintain a valid CDL Class A, B or C Driver’s License (depending on the location’s hiring needs) with Passenger Endorsement. DOT Medical Card: A Medical Examiner’s Certificate (DOT Medical Card) is required. Availability to Work: Special shift requirements, if any, will vary depending on a location’s hiring needs. If applicable, availability to work 2nd shift, 3rd shift and/or week-ends may be required. Language Skills: Ability to read and comprehend simple instructions, short correspondence, and memos. Ability to write simple correspondence. Ability to effectively present information in one-on-one situations to customers and other employees of the company. Mathematical Skills: Ability to add, subtract, two digit numbers and multiply and divide with 10’s and 100’s. Ability to perform these operations using units of American money. Physical Demands: The physical demands described here are representative of those that must be met by an employee to successfully perform the essential functions of this job. Reasonable accommodations may be made to enable individuals with disabilities to perform the essential functions. While performing the duties of this job, the employee is regularly required to stand; walk; and use hands to handle cash and equipment. The employee is required to reach with hands and arms and talk or hear. The employee is occasionally required to sit and climb or balance. The employee must occasionally lift and/or move up to 75 pounds.